I began my music career at Berklee College of Music in Boston where I studied and worked in their recording studio and Performance Center. I had the privilege of working with many talented performers including Chick Corea, The Woody Herman Orchestra, Lou Rawls, Billy Paul (Me and Mrs. Jones), and Weather Report doing live sound. After my apprenticeship, I began teaching in the recording studio as well. I graduated from Berklee in 1978 with a Bachelor of Music degree, majoring in Composition. From there I worked in Montreal, Canada for two years in a Music Library company/recording studio as a music editor for commercial films and assistant engineer for many English and French Canadian artists. I moved to Los Angeles in 1980 where I worked for over six years at the once famous A&M Recording Studio. One of the highlights was working on the USA for Africa “We are the World” project as an engineer and appearing on the DVD “The Making of We Are The World.” In addition, I worked on the rock n’ roll version of USA for Africa called “We’re Stars” produced by Ronnie James Dio. While at A&M, I had the opportunity to work on many great records, including Barbra Streisand’s “The Broadway Album,” many Herb Alpert records, Sergio Mendes, Supertramp, Michael Jackson, Dizzy Gillespie, Stevie Wonder, Sly Stone, Neil Diamond, Manhattan Transfer, Whitney Houston, and many more. I also gained a lot of experience working with many great producers including Quincy Jones, David Foster, Phil Ramone to name just a few. During that time, Herb Alpert decided to open the first Latin record label in the U.S., called A&M Discos. That is where I began working with many Latin artists such as Jose Jose, Juan Gabriel, Roberto Carlos, and Maria Conchita Alonso. This is also where I started working with MANA, and have continued working with them to this day. In 1986 Shelly Yakus and Jimmy Iovine took over A&M studio. As one of the only engineers they kept on staff, I started working on projects which included The E Street Band, X, Stevie Nicks, Tom Petty and the Heartbreakers, and many other bands until I eventually made the decision to go freelance. Once freelance, I engineered/mixed on six Luis Miguel records, all of which won Grammy awards for Best Latin Pop Album of the year. In addition, I engineered/ mixed, and co-produced with Mana on all except two of their records, all of which also won Grammy awards for Best Latin Rock Album of the year. 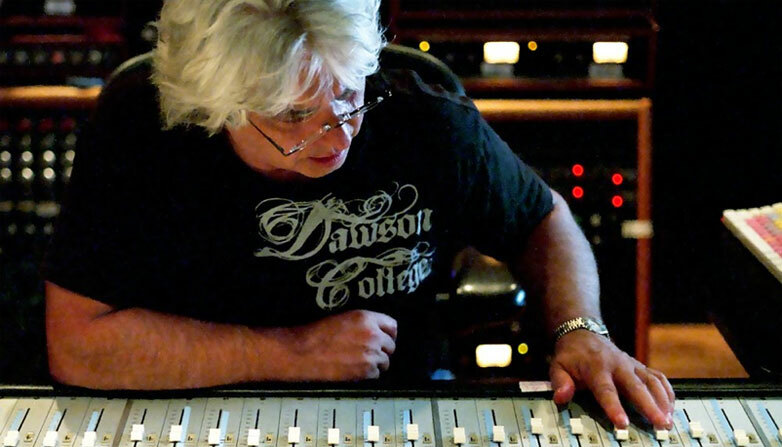 In my 21 years as a freelance engineer/mixer/producer, I have worked on many Grammy-nominated and Grammy-winning records, including Ricky Martin’s records, “A Medio Vivir” and “Vuelve,” which were his biggest-selling records; Santana’s “Supernatural”; Ricardo Arjona, the biggest singer/songwriter in Latin America; Marco Antoino Solis (el Buki), the biggest regional artist in Latin America; Joan Sebastian; Armando Manzanero; Juan Carlos Calderon, some of the biggest composers of all time in Latin America. I won nine Grammys in a variety of categories and countless Grammy certificates prior to that for participation in a engineering/mix. NARAS only began giving actual Grammy awards to mixers/engineers in the last eight years or so. Since 2006, I have opened my own studio named “The Cavern” after my love for The Beatles. I started my own studio for the purpose of working on my own productions with new and indie artists as well as for development of new music that is no longer available through record labels. And this past year I was honored to receive a Grammy nomination for Producer Of The Year for working on Indie records that were exposed to many different countries all over North and South America and Europe. Copyright © 2019 Benny Faccone. All Rights Reserved.